Rich in history and full of natural wonders, enchanting Puerto Rico has it all. World-class resorts, championship golf, 300 miles of shoreline, fabulous shops, fine dining and a nightlife that sizzles with glitzy nightclubs and casinos. Take time to visit some of Puerto Rico’s countless ecological and historic sites. 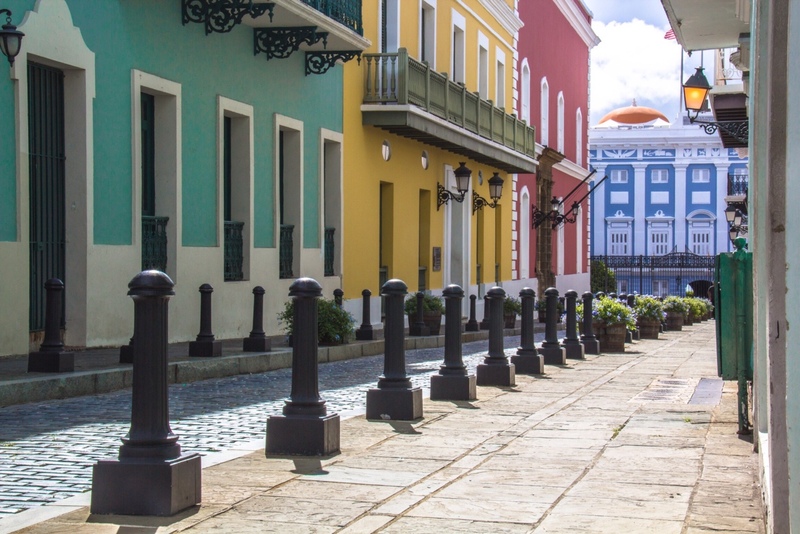 Tour Old San Juan, the oldest city in the U.S., and the historic town of Ponce. Roam the ramparts of the 400-year-old forts at San Felipe del Morro and San Cristobal. Explore tunnels, underground vaults and ancient spiral staircases where Spanish soldiers protected their families against enemy invasions. Nature lovers shouldn’t miss El Yunque Rainforest, the only tropical rainforest in the U.S. National Park Service. Discover 28,000 acres of lush tropical forest, unique flora and fauna, and a myriad of brooks and waterfalls. Visit the Riu Camuy Cave System Park and descend into the depths of a million year old cave. Three crater-like sinkholes and two caves of the huge system are open to explore. Follow nature’s trail at Las Cabezas de San Juan Nature Preserve. Experience almost every major tropical habitat unique to the island.